The use of imaging technologies to understand how the brain works has a long and distinguished history. Nearly 40 years ago, Professor Frans Jöbsis of Duke University, North Carolina, became one of the science’s early pioneers when he published a paper entitled ‘Non-invasive, infrared monitoring of cerebral and myocardial oxygen sufficiency and circulatory parameters’ in the journal Science. The paper demonstrated that it was possible to measure blood and tissue oxygenation changes in the brain – in this case of a cat – using near-infrared light. Since then, the imaging technology that underpins and enables this sector of neurobiology has advanced, with more than 60 papers due to be presented at the Neural Imaging, Sensing, Optogenetics, and Optical Manipulation segment of Photonics West, in San Francisco from 28 January to 2 February 2017. A typical experiment might look to monitor cell functions under certain stimuli, using genetic techniques to knock out genes, and therefore the proteins or enzymes they encode, to better understand their role in a cell or metabolic pathway. To monitor these typically very fast cellular reactions, fluorescent markers can be tagged onto the gene product (or an antibody that binds with it) which can then be detected by the camera. The system used to capture this process is relatively simple – a camera and microscope, with an LED or laser light, emitting specific frequencies to activate the fluorescent marker. Alternatively, for mouse in vivo models, a small hole is drilled into the skull with the camera set up against the sedated animal. There are, however, significant complexities to both methods, one of the biggest being lighting. Many neurons analysed – and cells in general – are sensitive to light exposure, a problem called photobleaching. So, there is a trade-off in the amount of light needed to detect the cellular process as it happens and the shortened cell life span that reduces the chance of witnessing this. Comparison of a neuron image pre and post de-noising algorithms. 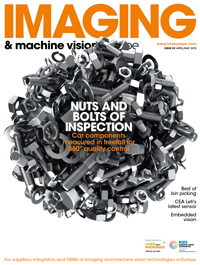 Rachit Mohindra of Photometrics, a developer and supplier of cameras to the life sciences sector, commented that this trade-off can have a large impact depending on what is being imaged and how long a neurological process lasts. Interesting work to visualise processes in the brain and neurons is also taking place in humans. Teledyne Dalsa has been working closely with Dr Kostadinka Bizheva of the Centre for Bioengineering and Biotechnology at the University of Waterloo in the US. The project has adapted non-invasive optical coherence tomography (OCT) machines, typically used to detect diseases such as glaucoma, with TDI line scan cameras that are able to detect in the near infrared (NIR). The system can generate sub-cellular images that penetrate to a depth of several millimetres within tissue, which then helps clinicians diagnose disease, including brain tumours. Scientific CMOS means researchers can capture four megapixel images at 100 frames per second, Mohindra said, and with smaller regions of interest to go ‘well into the thousands of frames per second’. In June Photometrics launched the GSense sCMOS sensor, already developed into its Prime 95B camera using the PCIe transmission standard. This sensor, the company claims, delivers a QE that matches EMCCD’s 95 per cent. The 3/4-inch sensor delivers 1.44 megapixel (1,200 x 1,200 pixels) images with a median read noise of 1.3 electrons (1.5rms). The sensor can detect just two photons hitting the sensor; it has a combined gain of 80,000e-, which Mohindra claims is approximately 2.5 times that of the next best sCMOS sensor. The sensor achieves this level of sensitivity through a backside illumination process, moving the lenses and electrical structures that would typically be in the way, so the light hits the sensitive area first, and the majority of it is converted to charge. Assuming the GSense sCMOS sensor lives up to its hype – and it’s already in use at the Berkley campus of the University of California and the Salk Institute – then scientists and medics can now detect about a photon’s worth of signal, allowing almost any cellular process to be monitored. Couple this with exceptionally high frame rates – into the thousands per second – and the advances become less about the industry’s standard incremental improvements of megapixels and frame rates. So how will these cameras evolve? Another challenge is that of handling the amount of data produced by these sensors – a four megapixel camera with 100 frames per second generates roughly 800MB/s, according to Mohindra. 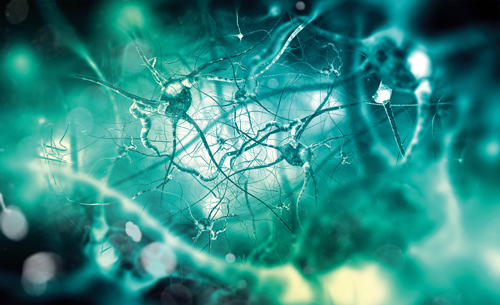 With significant funding from the US and European governments boosting neuroscience, the vision sector will continue to work closely with research institutes to develop the technology in line with the experiments.